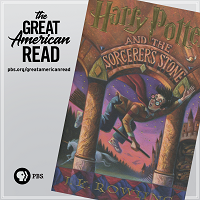 Great American Read Book(s) Discussion Monday 11/12 at 6:30 p.m.
Monday November 12th at 6:30 p.m.
Join us for a discussion of the book that won our Great American Read vote here in Deerfield (the Harry Potter series!) and of To Kill a Mockingbird, the book that won the nation's vote, with guest speaker Meg Kaster! Meg is a former English teacher who taught at Deerfield High School, worked here at the library as a clerk, and is now a Youth Services librarian at the Columbus Public Library.